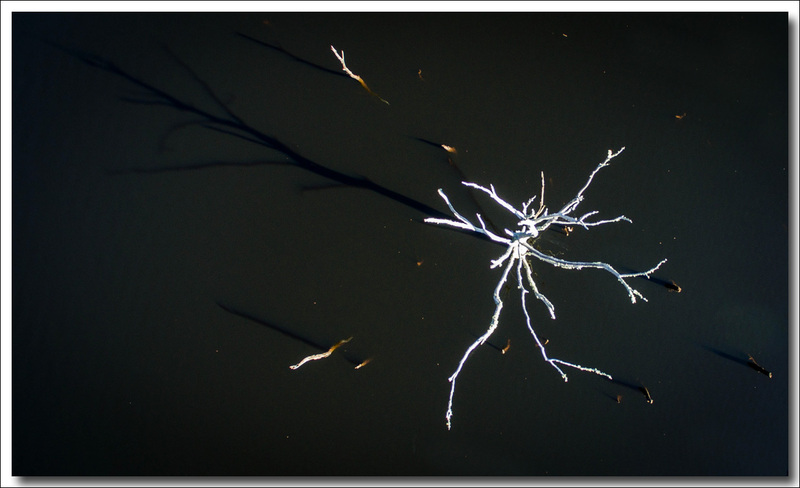 It's a drone shot taken directly overhead of a dead and drowned tree in Lake Cethana. The shadow gives you some form to the subject. Here's a wider view of what I was working with. The hurdle is not so high Nate, the better quality drones are extremely easy to fly. With GPS positioning, when you let the controls go the bird just stays put. You get a real time view on either phone or IPad (I use IPad as it's easier on the eyes), so it's really just a matter or moving the aircraft around to get the composition you want. It's touch screen spot for exposure control and they shoot in RAW or JPeg or a combination of both. I never let the drone get out of sight and fly it manually back and hand catch at the end of the flight. The only problems I've ever had has been with software updates causing issues with the link between controller and aircraft when the update was installed. Had to do quite a bit of searching on line to identify the fix which would have been very simple if the info had been provided with the updates. DJI were not very helpful and only offered to look at it if I sent it all back to them.